KSY: Dara, you like alcohol? 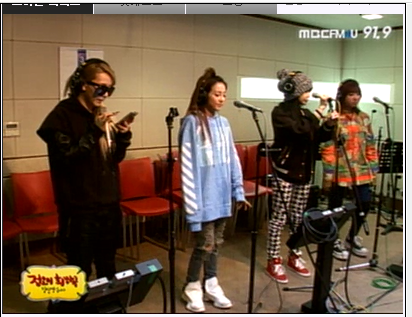 CL: Her voice gets louder. Dara: We had an after party after our concert and she would talk to other people. KSY: As soon as “Crush” came out, I listened to the whole album repeatedly. Bom: The part where we copy our CEO’s dance in Come Back Home is my favorite. Dara: I like when the four of us do the wave during Come Back Home. It looks nice…is what my mother said. KSY: Did you guys get a break since your comeback? 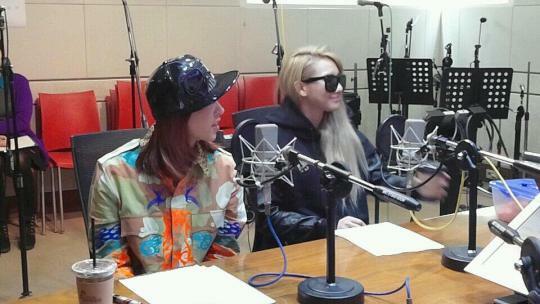 CL: We actually prefer not having a break, since we want to work a lot. Minzy: I actually want a break a little. I want to go to the US or to Europe. Park Bom: I prefer work over break now. I am in a new variety show. We are starting now. It’s so so fun. I don’t get sleep but its so fun. Bom: I think me and CL. 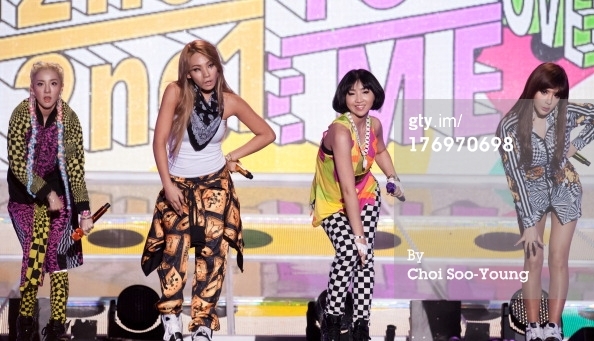 CL: I think it’s Bom. Bom: I was rejected over 10 times. I auditioned every month for 3 yrs. Bom: ‘I Turned to You’ by Christina Aguilera is what I first auditioned with. I didn’t audition anywhere besides YG. Bom: Since YG kept rejecting me I got angry, and I felt like I would succeed when I finally get accepted. CL: I was rejected many times too. I sent demos for many years so I went to look for the CEO. I don’t know where the confidence came from.